...or even in several places. 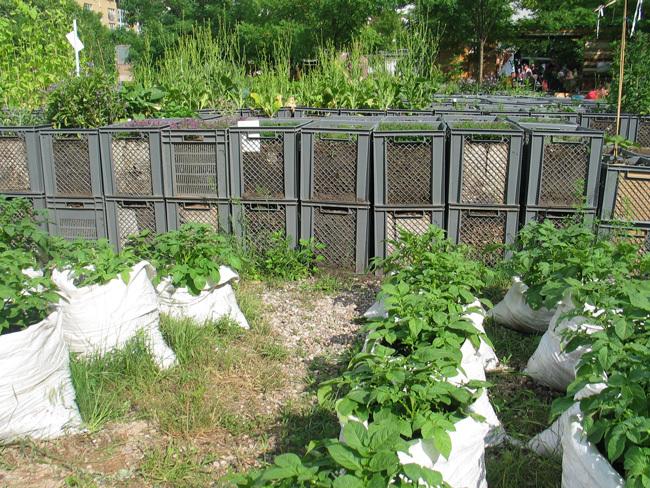 Thanks to the innovative use of jute bags and bakers' crates as planters, it can flourish on concrete, flower on contaminated ground, or make a farm out of an eternal building site. And when the cold season comes, or the landlord suddenly wants the site back, the whole thing can be put on rollers and moved. Wander through the open gate of the Prinzessinnengärten and you can expect to meet school parties on a visit, city types taking a tour or hipsters weeding. And everywhere, the local inhabitants of this, Berlin's most multicultural district, are getting involved. It's more than just digging, clearing, planting, picking and weeding. There's a sense of freedom pervading the work here which is almost heady. 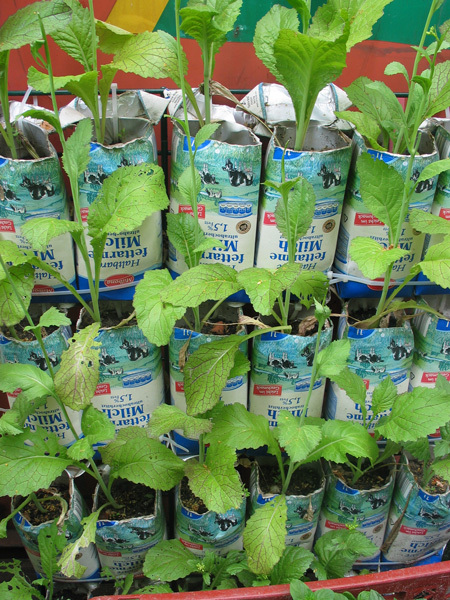 Seedlings, compost and pick-your-own herbs and vegetables are sold to keep the project afloat. 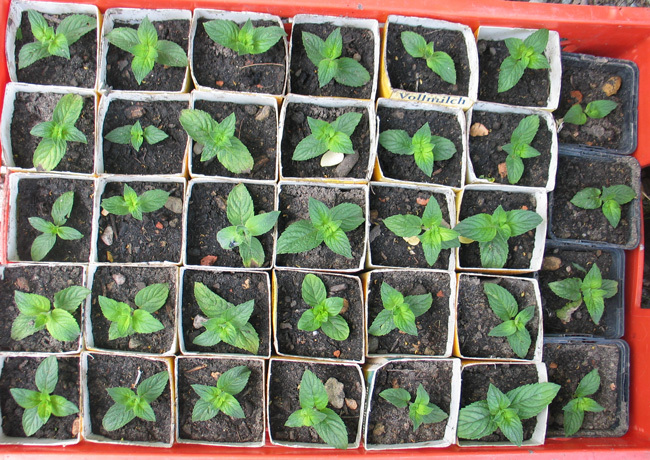 Hundreds of volunteers, friends, plant-bed sponsors and supporters keep the idea moving; experiments are welcome, and learning by active involvement is encouraged. ...is used, and reused. Project founders Marco Clausen and Robert Shaw freely admit they knew little about gardening when they started in 2009. 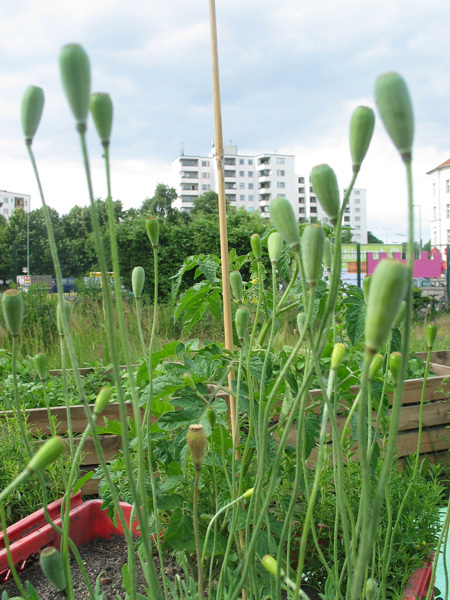 The result is experiential urban gardening which emanates a sense of wonder and respect for the growing process. 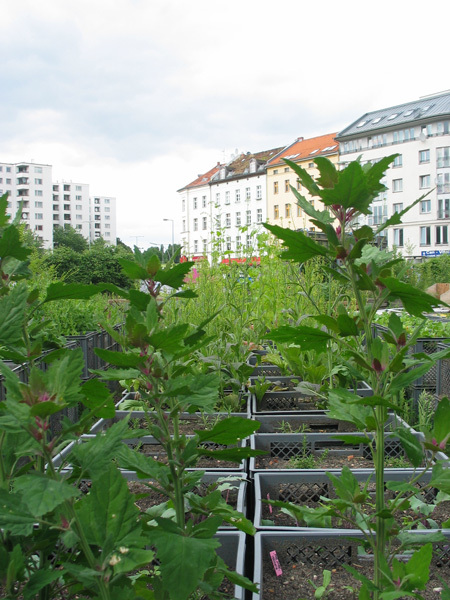 Everything is grown organically at the Prinzessinnengärten (so-named as it is just off Prinzessinnen Street), and they make their own compost to help the process along. 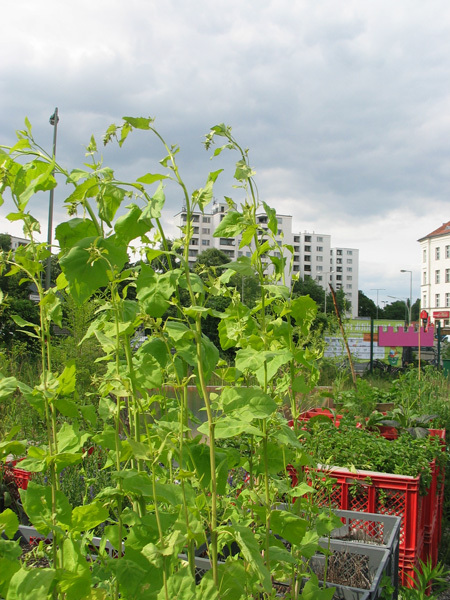 And, thanks to the garden, this concrete corner of inner city Berlin is now home to 7 bee colonies which take care of the rest. People used to pass under Moritzplatz. It was just an underground station on the way to somewhere else. It wasn't somewhere you got out at, unless you lived there. For decades, the patch of ground next to the station exit spoke of neglect, crumbling concrete and city, city, city. But now people are talking about Moritzplatz. People emerging out of the underground station come looking for a garden. Our visit to the Prinzessinnengärten coincided with the arrival of the Bauernsternfahrt march on the capital. 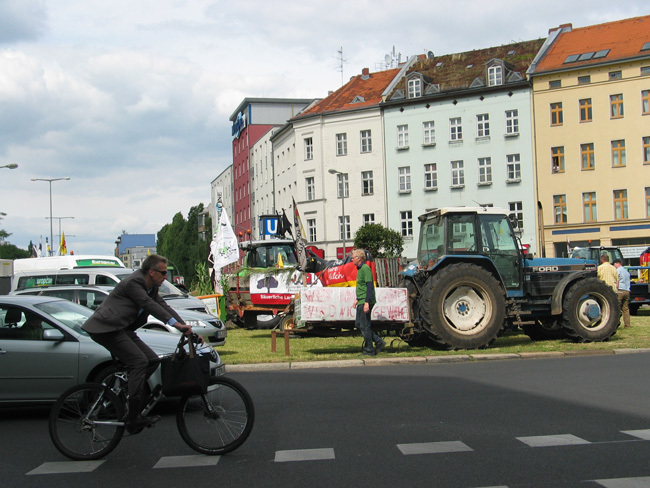 Farmers and farming associations from all over Germany, converged on the city, bringing with them a plea to politicians to rethink policy in the farming sector. 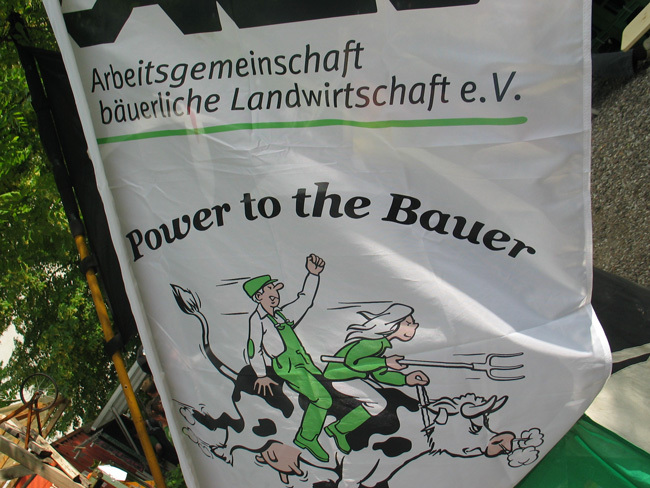 The march was put together by the Young German Small Farmers' Association, the JABL. 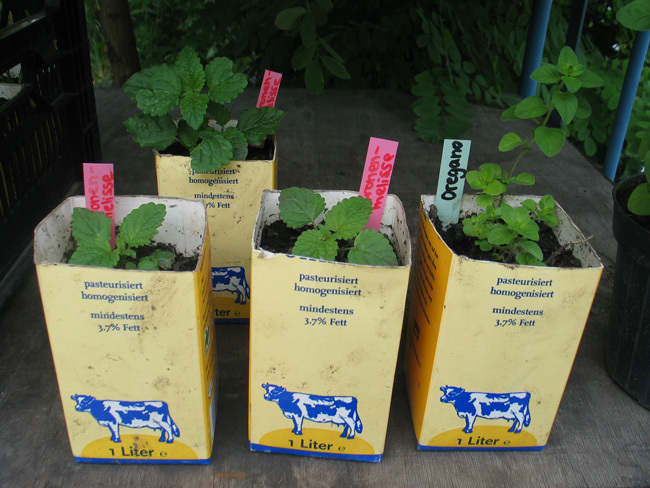 The German Small Farmers' Association (ABL e.V. ), formed in 1980, opposes a purely economic view of the farming industry, and supports regional and quality based marketing of farming produce. Do carrots come from the supermarket? 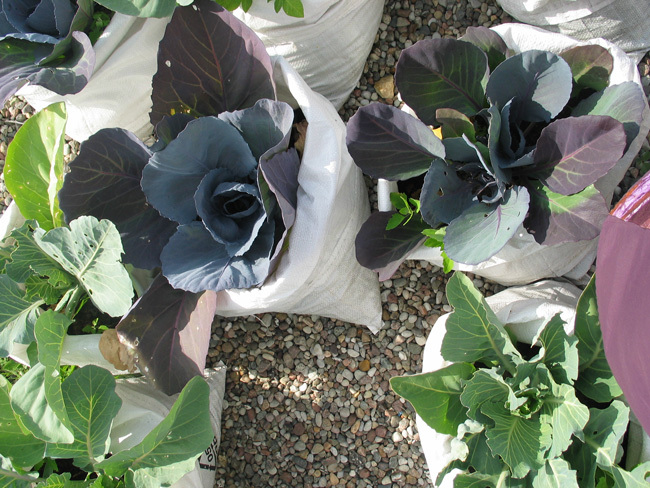 Do cabbages grow in bags? 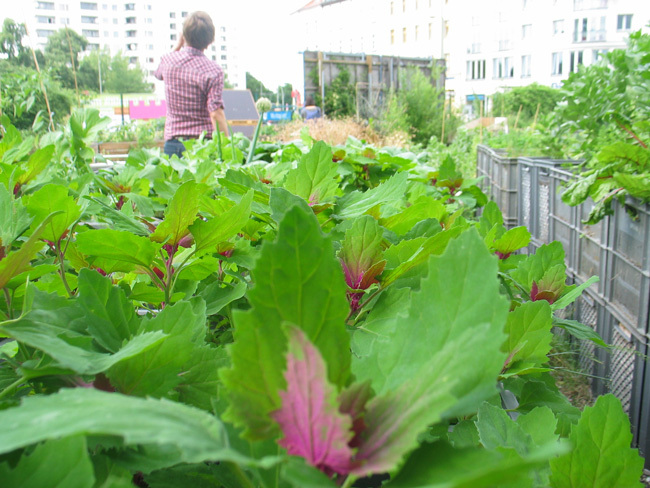 With numerous projects and workshops educating young people about the food they eat, and press and interest groups from all over the world visiting and taking inspiration, the mobile Prinzessinnengärten could become a 'take-away food' model for the cities of the future.